The Bachelor of Arts in Integrated Educational Studies (IES) provides a dynamic, liberal–arts curriculum for those students interested in inquiry and education as a source of transformation and liberation in a diverse society. The B.A. in Integrated Educational Studies embodies John Dewey's concept of education as a “freeing of individual capacity in a progressive growth directed to social aims.” Simply stated, this major provides students a unique opportunity to be actively involved in those elements that create a just democracy. The major challenges students to dedicate their intellectual and personal capacities in a demanding and rewarding profession that can make a positive difference in the lives of children, youth and adults. Welcome to what we are sure will be one of the IES program requirements you will find exciting, informative, and inspiring: fieldwork connected to your IES classes. This Fieldwork Resource Guidebook is provided to expedite your course-related work outside the walls of Chapman. It contains recommendations of school and community sites with which the Attallah College of Educational Studies has established relationships. Information is updated annually. In the Integrated Educational Studies (IES) program, fieldwork is defined as Required IES course-related work done “in the field” – meaning, any course-related activity that occurs outside of the IES classroom and generally involves persons other than members of your IES class. Examples of fieldwork include interviewing working professionals, visiting school or community worksites, observing persons at off-campus locations, or completing course-related work under the direct supervision of a fieldwork site Cooperating Professional (such as a classroom teacher, employee, or organizational officer). Fill out the Clearance Checklist & Application form on page 12 and return with documentation to Kelly McCuen. After obtaining Clearance, contact the appropriate person at the fieldwork site via email or telephone. Obtain sign in/out on Fieldwork Log if required by your faculty member. 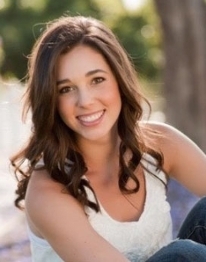 "The Integrated Educational Studies (IES) program was the primary reason why I chose Chapman. I knew I wanted to teach before I started applying to colleges, and learning about the IES program made my decision clear. The professors in the Attallah College of Educational Studies are so helpful and encouraging. Their passion for education continually inspires me, and I feel my experience is preparing me to make an impact." "When I first visited Chapman, I knew it was a community I wanted to be a part of. I am from Los Angeles, so Chapman's proximity to home and the beautiful Southern California weather was a huge plus for me. I was attracted to the IES program because of its small class sizes, engaging professors, and the individual relationships I could form with my peers and instructors. One benefit of the program is the ability to participate in rich discussions where everyone’s voices can be heard."